Proud of our coverage of the 1979 Miss Auburn contest over the years, now even prouder. 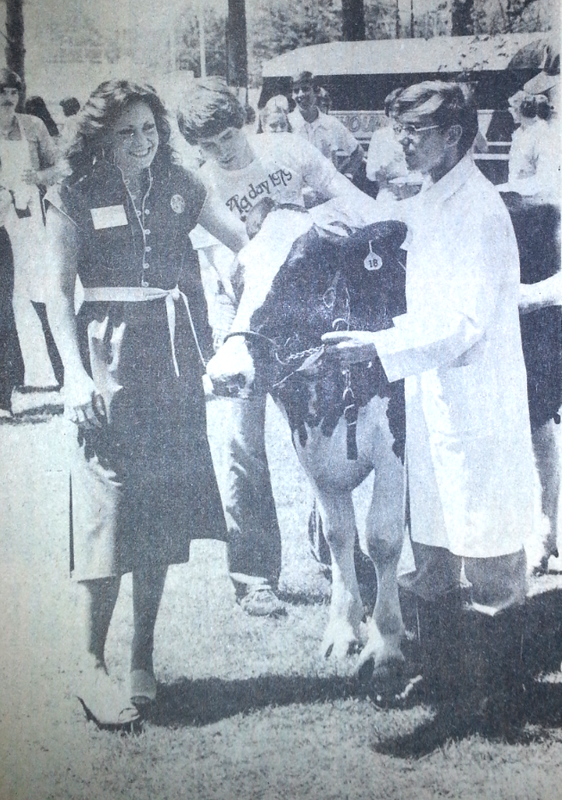 Here’s a rare photo of Bessie, that year’s Miss Auburn, and runner-up Cindy Murphy, from the cover of a 1979 issue of The Auburn Alumnews. Murphy was ultimately named Miss Auburn because Bessie was a cow. More photos, and the whole crazy story behind the thing, here. Related: Best reaction to being named Miss Homecoming ever.